A simple, elegant guide to making origami. 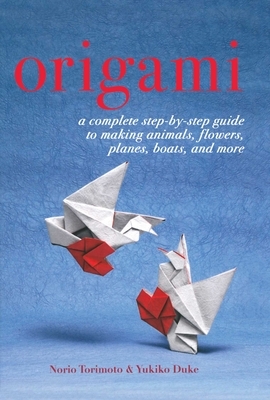 From playful animals to delicate flowers and fun paper airplanes, this origami guide has projects that will delight both children and adults. With words, illustrations, and more than three hundred photographs, even the most complicated of folds and manipulations are made simple by this book’s easy-to-follow instructions. Master Norio Torimoto, with the help of Yukiko Duke, takes the mystery out of the art of paper folding by teaching readers the proper mindset behind the art and the basic formations that are the foundation for all his projects. Yukiko Duke is a journalist, broadcaster, translator, and expert on Japanese history and culture. Duke lives in Sweden. Norio Torimoto is one of the nine origami masters in the world, as appointed by the Nippon Origami Association. His work has been represented in museums, exhibitions, and Japanese cultural events all over the world. Torimoto now lives in Sweden.